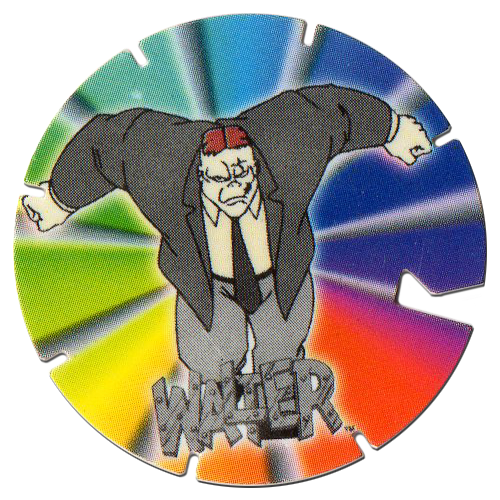 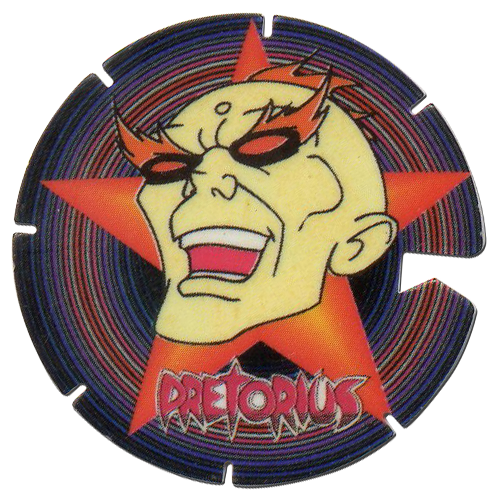 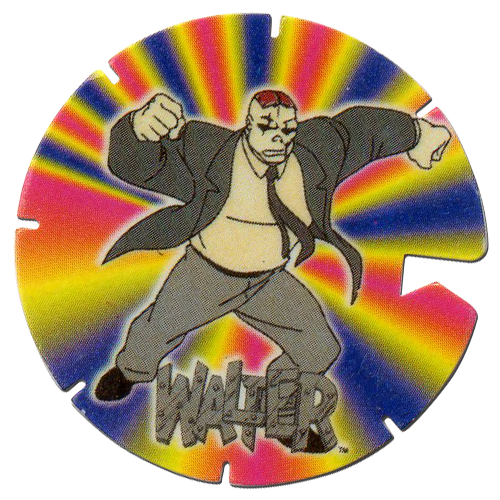 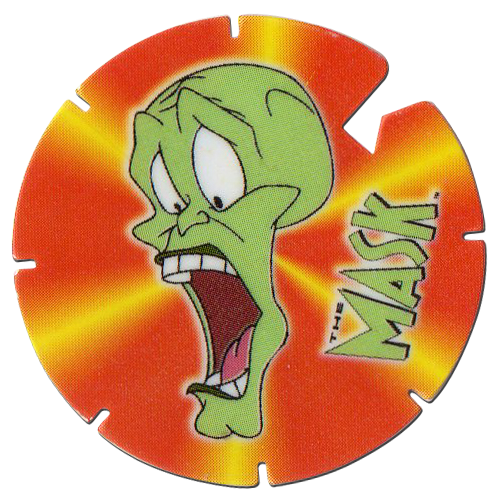 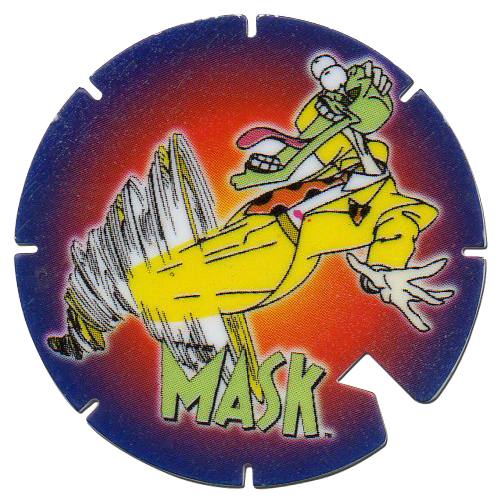 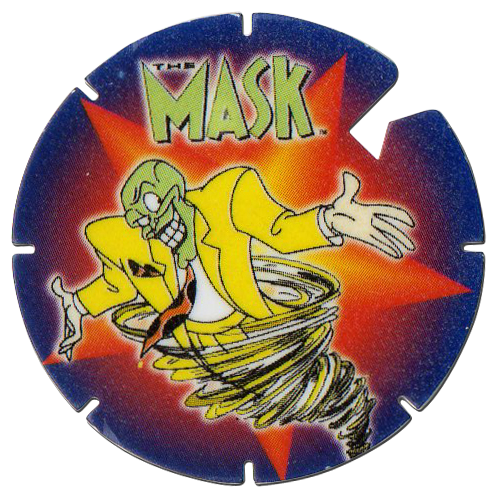 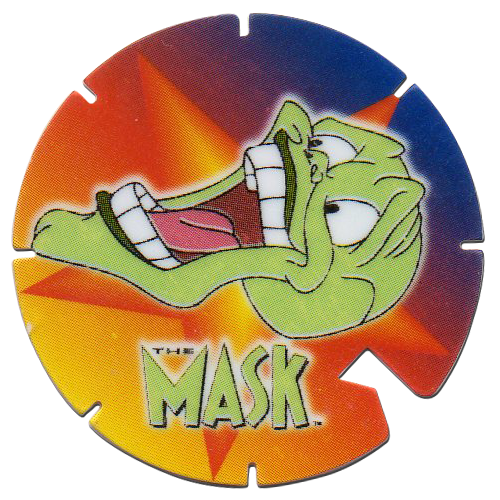 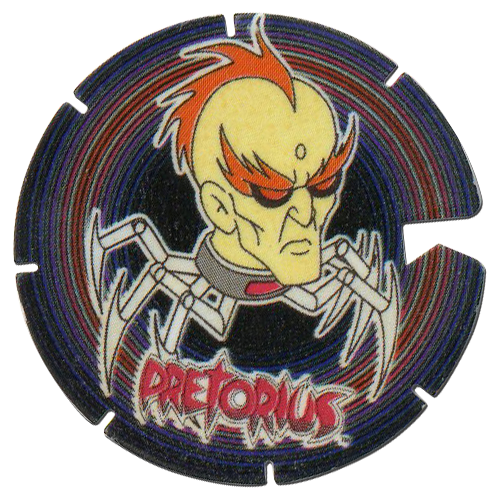 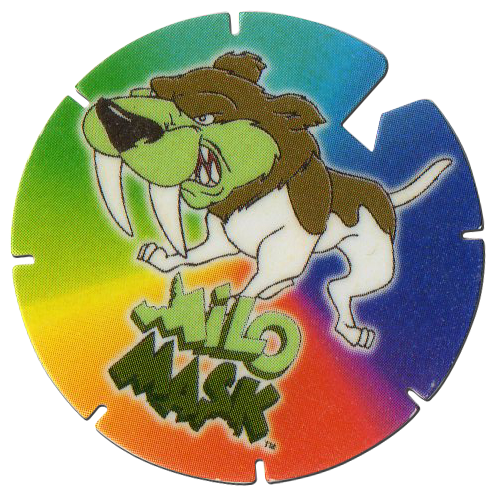 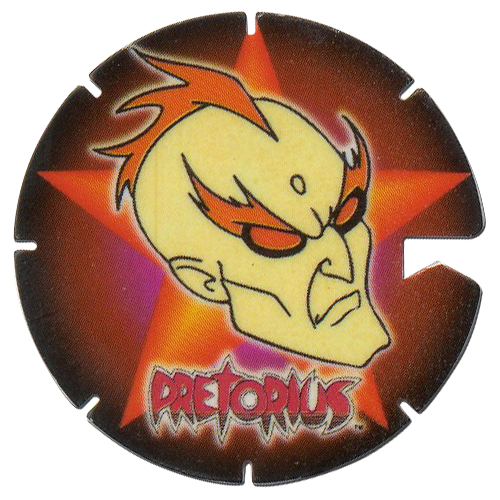 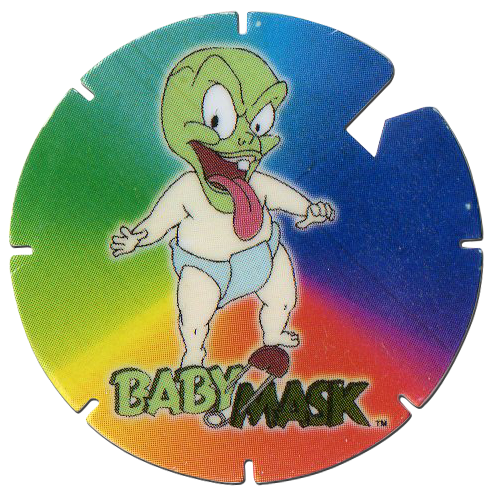 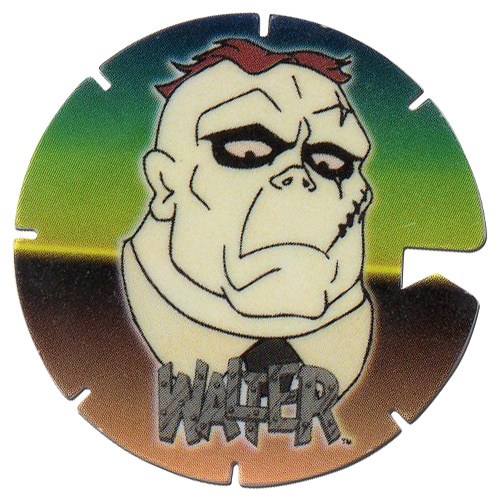 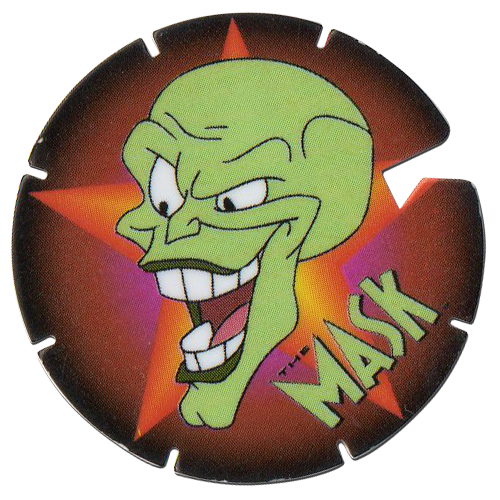 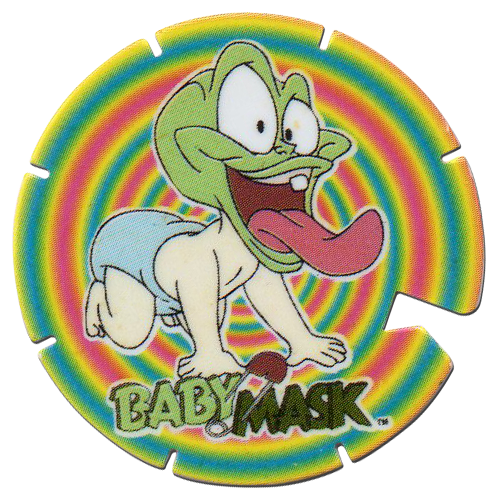 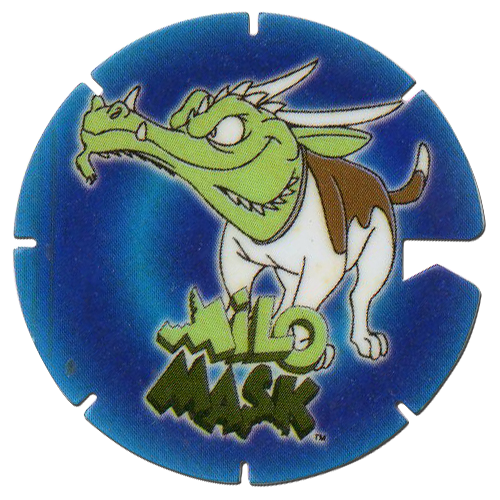 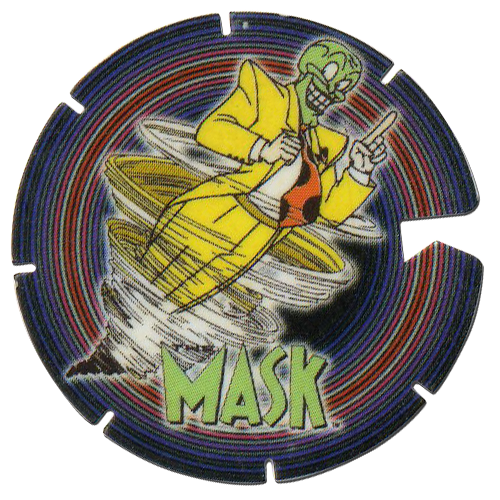 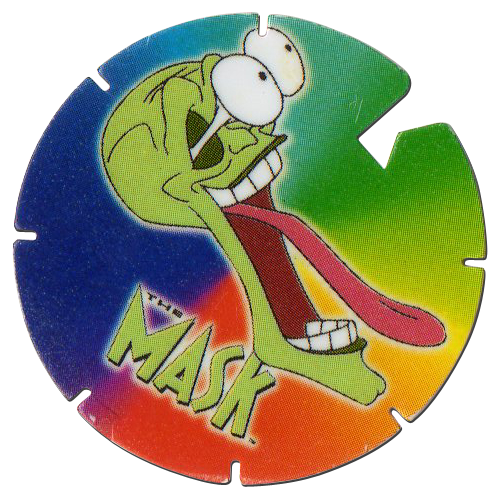 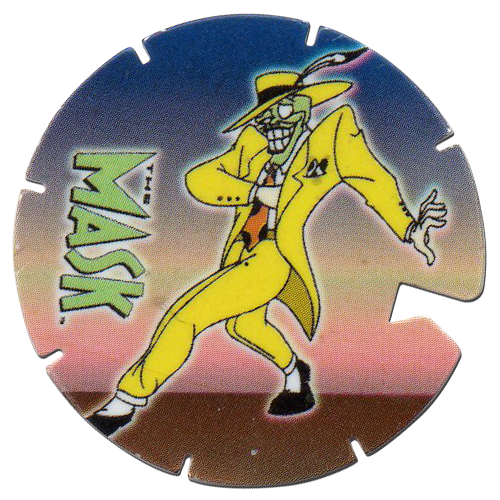 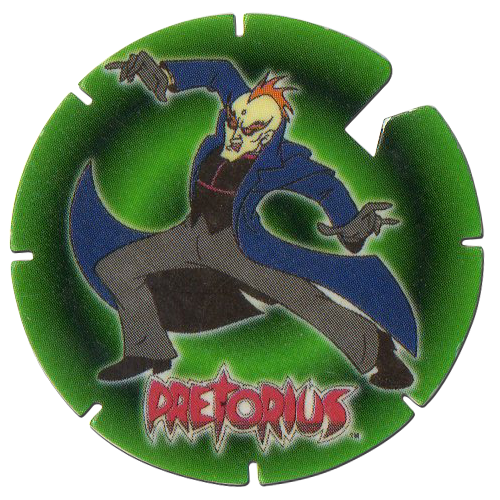 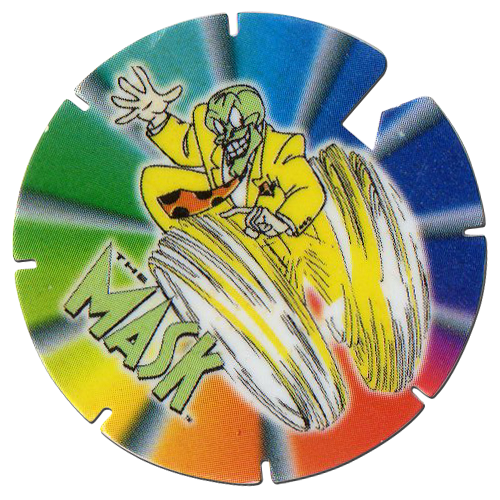 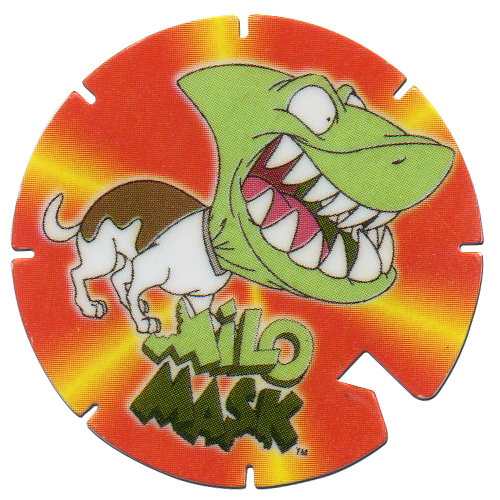 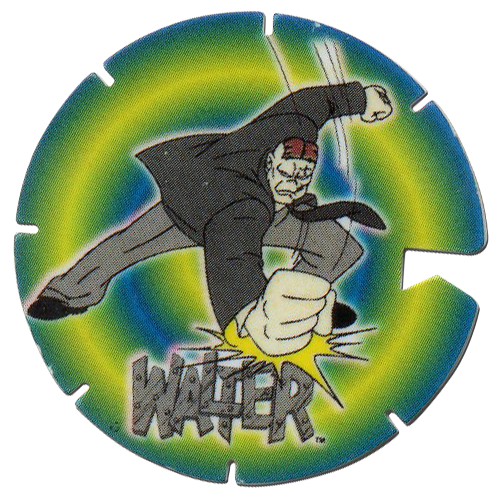 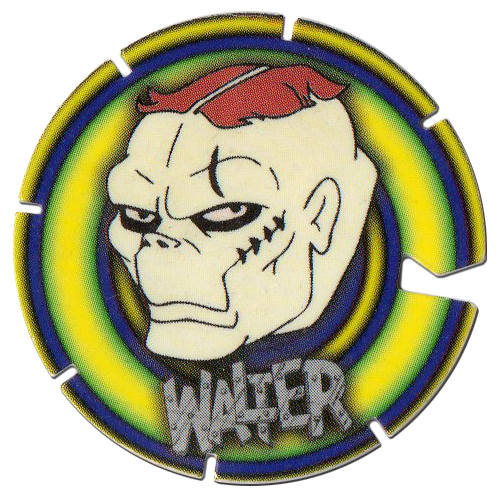 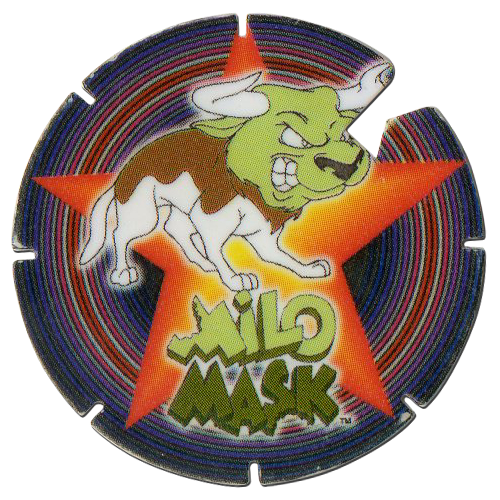 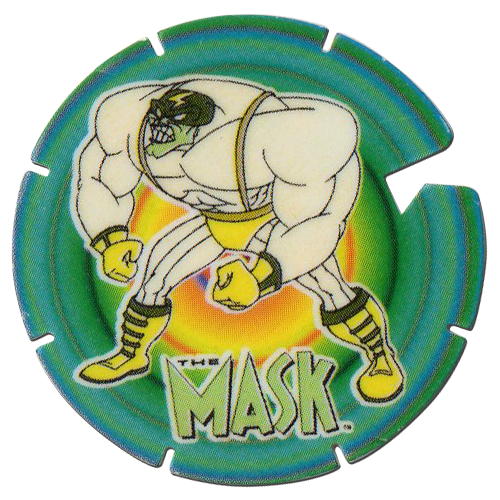 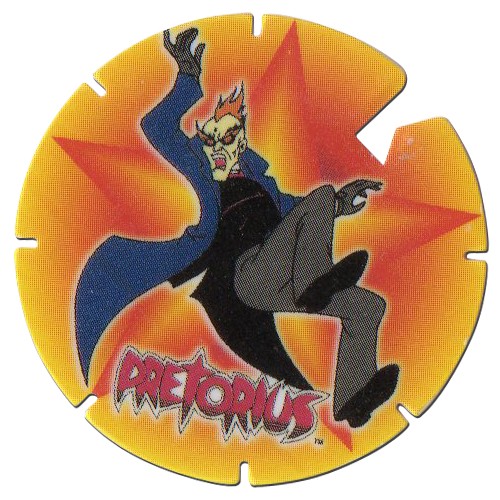 Info:These pogs are based on the children's cartoon 'The Mask: The Animated Series' from 1995. 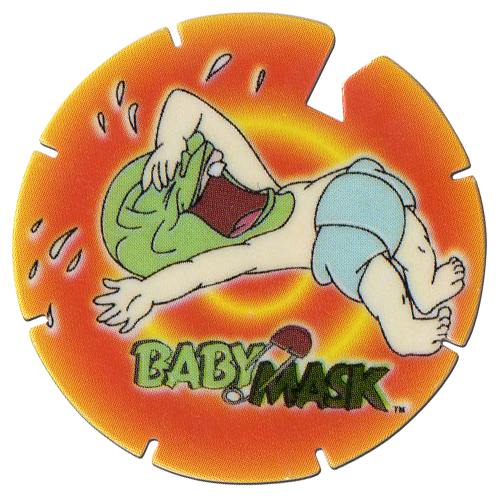 They feature various characters from the show including The Mask, Milo Mask, Baby Mask, Pretorius, and Walter. 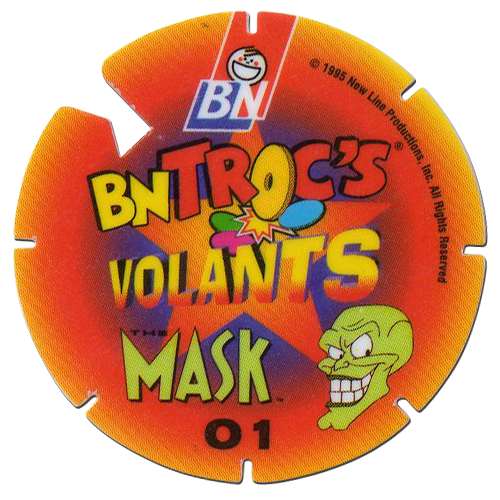 They would have been given away with biscuits produced by Biscuiterie Nantaise (BN) in France.